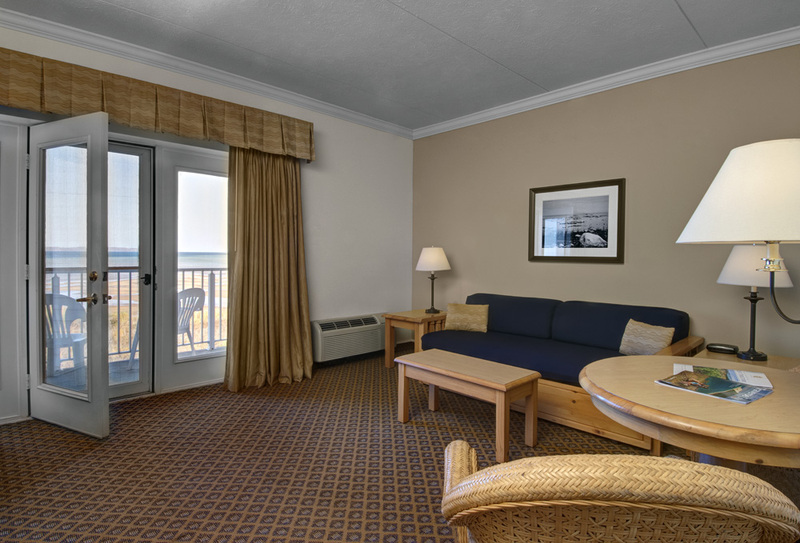 Situated at the picturesque edge of East Grand Traverse Bay, the Cherry Tree Inn & Suites is the premier choice for waterfront accommodations in Traverse City. We’re conveniently located close to downtown and the best Northern Michigan has to offer. Unwind in one of our hotel's 76 well-appointed rooms. Each room is fully equipped with amenities that include kitchenettes and thick concrete-wall construction, so nothing gets in the way of your good night’s sleep. Whether you’re in town for business or leisure, on your own or with family, our rooms and courteous staff cater to your needs to make you feel at home. Experience the convenience of our modern amenities. Each bathroom is fully appointed with BeeKind bath products and hair dryers. All studios and suites have a TV and phone and are completely 100% smoke-free. *Certain suites feature extended kitchenettes or full kitchens—please see our “Suites” page for specific information.